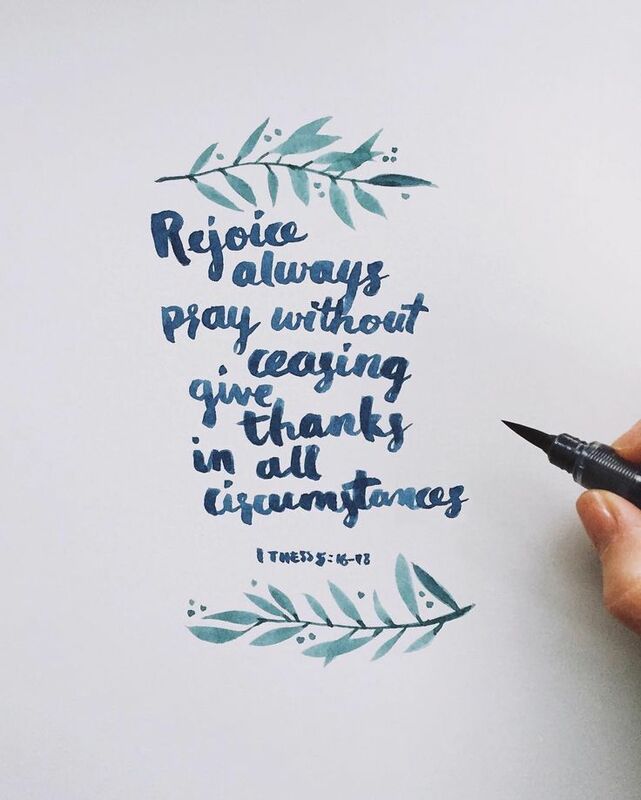 SO much to be grateful for… before I move on to sharing more about the Holiday class (which was amazing and I plan to share sources), and various shop/buy local opportunities, discount codes etc, I just want to post first about gratefulness. This has been a hard year for many in the Houston area and frankly the entire country and around the world. It seems like the world is just going crazy. My babies called me last night from their grandparents’ home to tell me a criminal was on the loose and an officer had been shot. (He was captured but not before he fatally shoot a Texas DPS officer, please pray for that family, so awful) The way my boys talked, being “brave” almost like it was just normal stuff made me so sad. My heart broke not just for the downed officer and his family but also for my boys who are growing up in this new “normalcy” of violence and daily tragedy in this country. I know this isn’t a political blog and you don’t come here for social commentary. But its been rough. Home, family and safety feel more precious to us than ever. I could go on and on about Hurricane victims and dusty empty homes where there was no turkey and no football this thanksgiving…just shells of former homes. But rebuilding is going on and people are huddled together. And I am BEHOLDEN to those stories, our Maker, our HOMES and good friends. Erin and Ben Napier say gratefulness and being Beholden is their secret sauce. And I think they are on to something…it can be everyone’s secret sauce. No matter the circumstance just like 1 These says! It’s not always easy or fun but it is good and right and God sees it. Our little people see it. And others feel it. 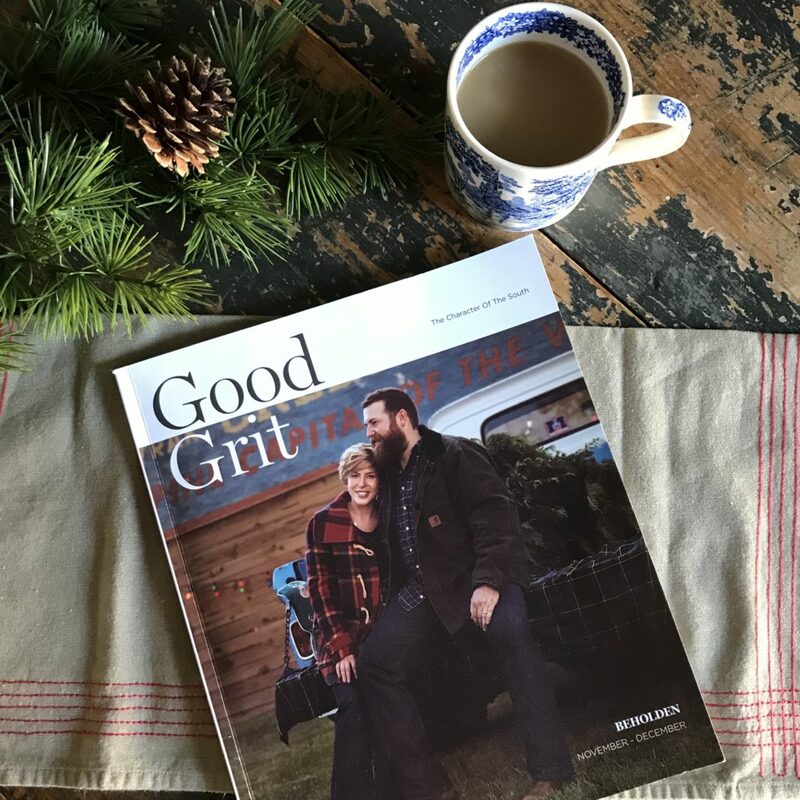 I am grateful to be a part of Ben & Erin’s BEHOLDEN issue of Good Grit Magazine….Good Grit has an awesome mission to celebrate all of the good and positive things of the New South..the makers and people and places that make up this special region. 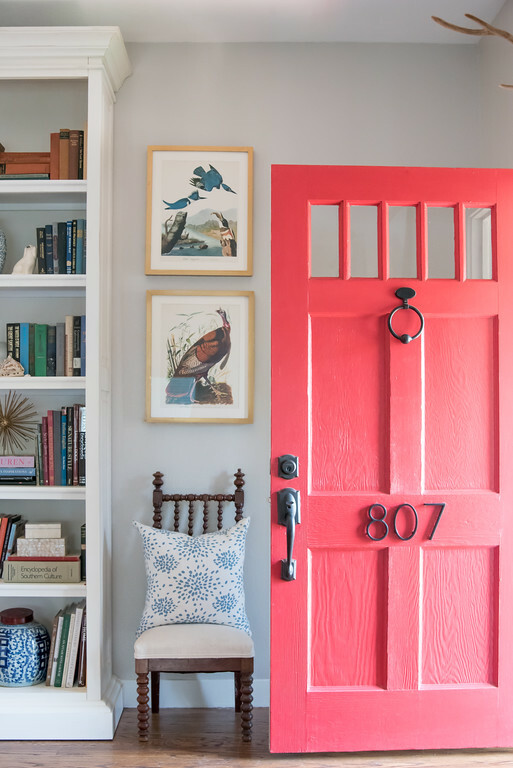 Thank you FrenchBlue Photography for taking images of my new home and Buff Strickland for sharing images from the homes of the O’Donnells and Bethel families. 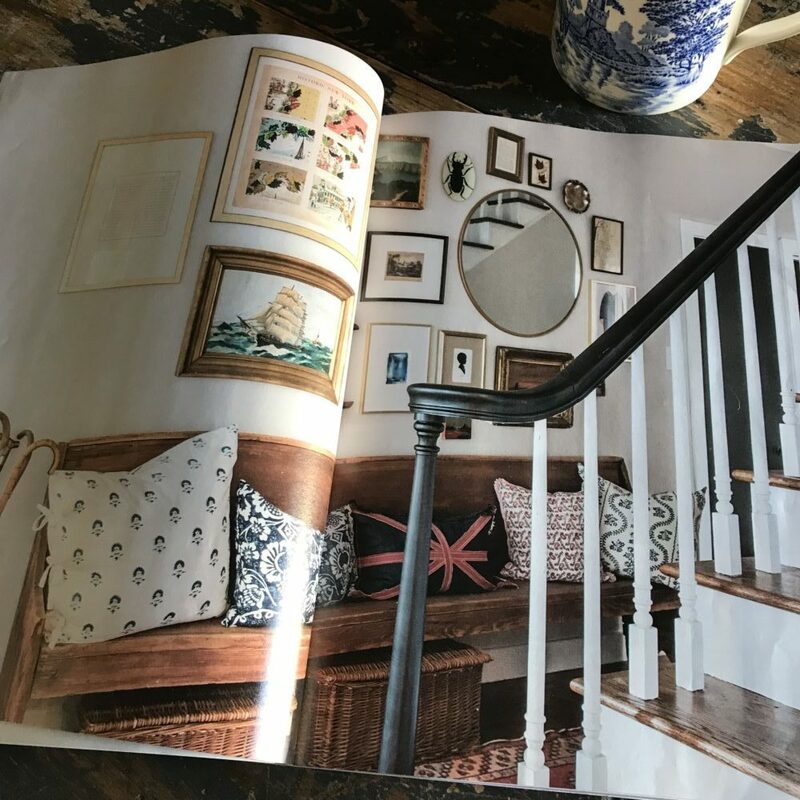 Photos in article, above: portion of photo of Bethel home in Houston, me shown in our new living room with same old toile pillows! FrenchBlue photography shots of our new kitchen and front door! 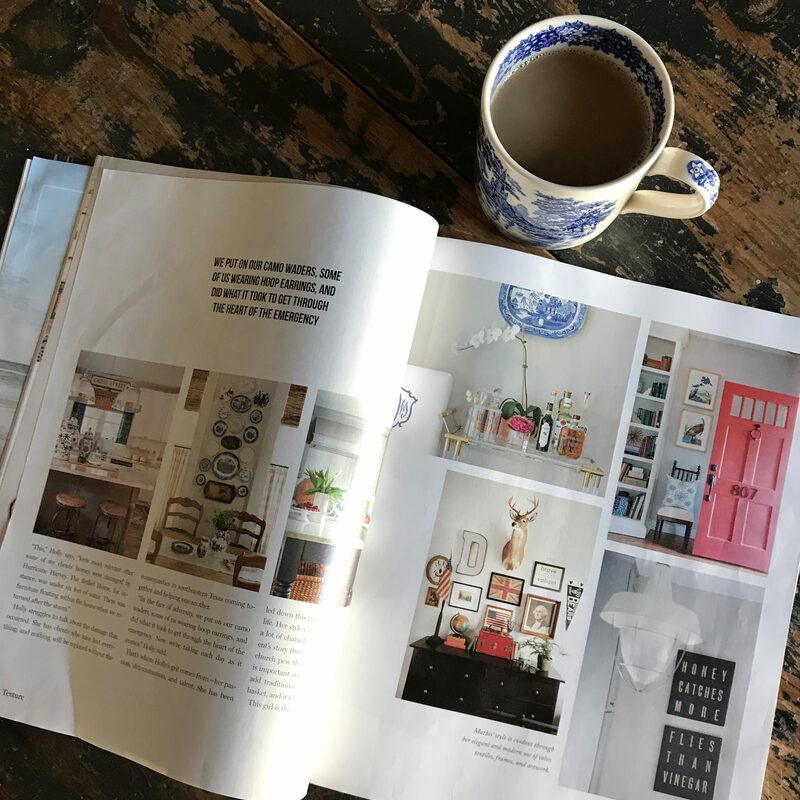 I will blog again soon about which specific images are which home and what one particular living room looked like during and after the flood… If I can get to the place where I can stomach to post those images. 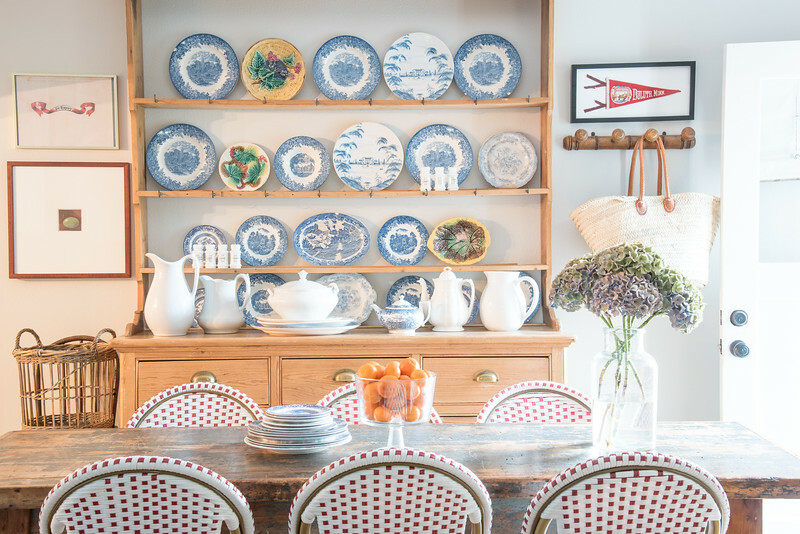 The homeowner has given me permission and FrenchBlue took some eerily beautiful photos. For now, know this. I am grateful for you my readers and clients. For colleagues and work opportunities and patience and kindness from each of you as I have navigated my new normal. In some ways the 3rd year of divorce has been the worse..still trying to get sea legs for sure. God is faithful. and I am BEHOLDEN. Now let’s prepare our hearts for advent and the birth of King! Note: There is still so much need in Houston as the holidays approach, click here to be a part of Becki Griffin‘s Gift Card movement to get immediate help in the hands of families with needs! There are so many ways to give but this is one way she has found that truly works. Today in Texas, people are still cleaning up from Hurricane Harvey and will be for weeks and months to come but so much love has and is coming this way its been humbling just to be a small part of the outpouring. And as I write this, Hurricane Irma is pounding the Florida keys. I know we are all praying for Florida and I hope they receive the same kind of love and support that is being given to so many Texans. They are going to need it. And there are still needs and efforts going on here. Saturday, our local School Board President, Natalie Lange (you have seen her name on my blog before she is also a very talented photographer) and her husband Harper and precious boys, loaded up and brought two of over 15 loads of supplies our schools here have collected to Vidor, Texas, near Beaumont. You may have read and noticed all of the connecting on Instagram. Vidor is one of the many small towns hard hit by Harvey that has been suffering and in dire need of supplies. 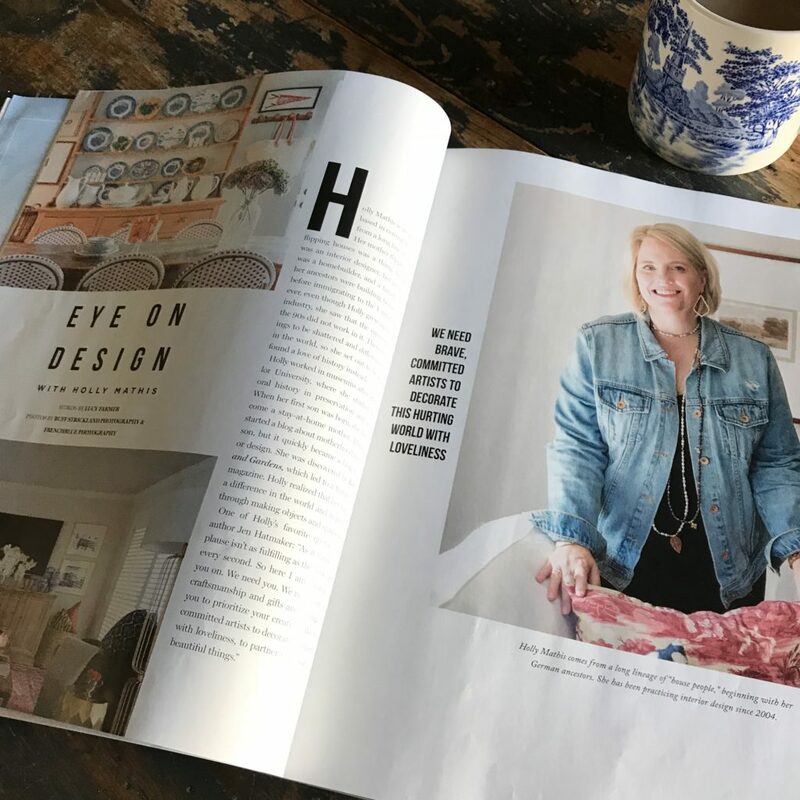 It also happens to be the hometown of dear friend, Becki Griffin, who is also photographer and stylist you hear me talk about often here. 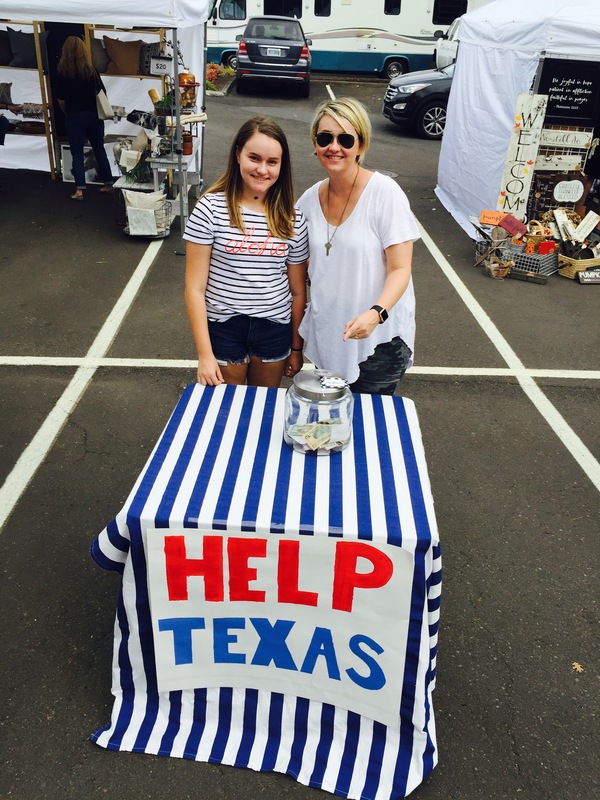 Becki and her sister Suzette, who lost most of her home her go fund me and info are here, are discovering and pinpointing a lot of need in those small town areas east of Houston. 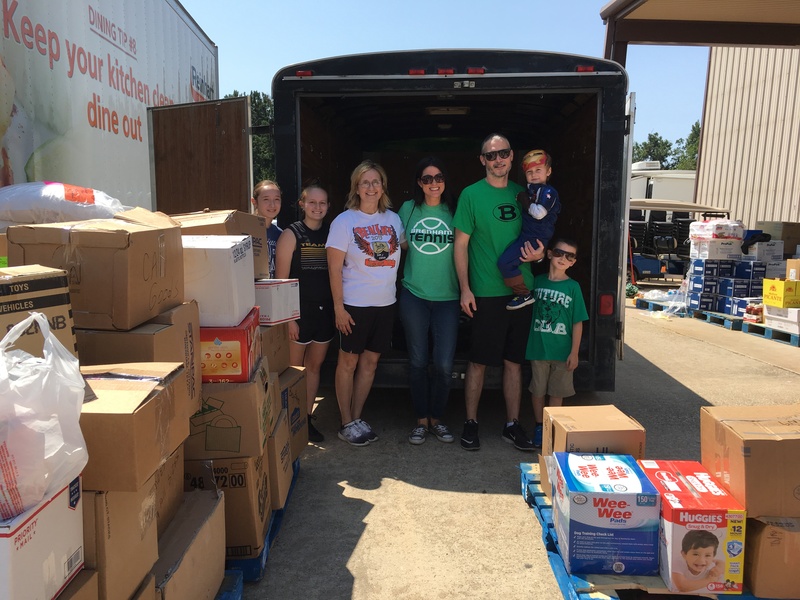 Becki’s sister Suzette in the white and her two daughters to her left and Brenham’s Natalie Lange in the green shirt with her family Harper and sons to her right, this photos makes me so happy..one little town helping another! Brenham teacher Kaylee Roznovsky coordinated the Brenham effort and her energy and love is just contagious. Thank you Kaylee for all you have done for so many communities including our own! Just knowing this beautiful gesture happened today halfway across the country the people of a little town in Texas gives us hope and strength. We feel the love and thank you from the bottom of tired broken hearts. What is amazing is these are just drops in the buckets of things that are happening all over Texas and beyond, with everyone I know..connections being made on social media and needs being filled! I am sure each of you reading know of someone that has created some special way to give or drag their boat down here and help..I haven’t even touched on the scores of people that have come in boats to just help..rescue and save lives. Just regular individuals with jet skis and boats. I have heard it before but have truly see it with this storm that “when Mother Nature is at her worst, human nature is at its best!’ So true, people are full of empathy and want to help! I think Satan wants the world to believe that many Americans are selfish and divided and hate one another but these tragedies prove that is not true! It is not true, we are in this together, not just in Texas but our entire country, from small towns to big cities. Last but not least I want to tell you about my designer/friend/client Robin Jackson from Austin. Again, Robin wanted to help and is very moved my what is happening in her native state…she has family ties to the area near Becki’s hometown. Photo below highlighting Robin’s effort to help is by Becki Griffin of her sister Suzette’s home near Vidor during tear out last week. She has been helping with the efforts of Austin’s Cord Shiflet called #fillatruck. Then Robin and Becki connected last week and the iPhones started smoking! Robin saying “what do you need I WILL GET IT TO YOU AS SOON AS POSSIBLE people in my neighborhood and community want to help!” Here is the link to her gofundme page, go and read her words on the page, really good. And so its happening, people who are not social workers and have never done aid relief are filling their trucks, renting uhauls, taking their boats, whatever it takes to help those in need. ROBIN IS STILL GATHERING SUPPLIES and will deliver those items to the Vidor area the end of this week. So you live in or around Austin you still have time to donate to this effort, follow Robin for details or questions or message she or I for more info. Anything else that can be used in these efforts…GIFT CARDS! Items on this list will be purchased, by me, Robin Jackson, locally in Austin and loaded into a Uhaul truck. We are also accepting “on the ground” donations from any individuals wanting to go that route. 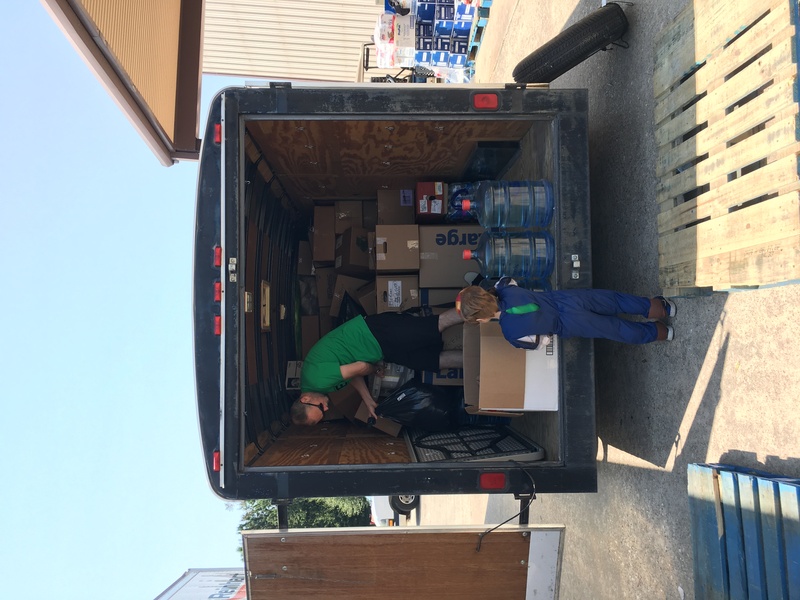 After our truck is full, probably Monday or Tuesday of next week, we will deliver directly to the fine folks at the East Gate Pentecostal Church in Vidor, Texas. They did not flood and have been doing a fantastic job of supply distribution. They have the ability to receive our materials and the manpower to unload and store supplies. If you desire contact information directly to the church, please message me and I can give you that information. If you are local in ATX, and wish to donate actual goods and materials, we have a way to do that too! Just message me and I will give you info on how to proceed. Or, check for an update later today, Friday September 8th, with directions on where to take your donated or purchased items to fill the truck. We will use the funds to purchase the items that we seem to have the least of when it’s time to head to Vidor! My heritage runs deep in this part of Texas. My daddy hails from Port Neches/Groves, a tiny area outside of Port Arthur that was hit hard by Harvey. My mom grew up in nearby Nederland, directly across the street from the high school football stadium in a house that is likely wiped out at this point. I appreciate your consideration of helping out this very special part of our state. They need us! And again, this is just a drop in the bucket, these are just the relief efforts I am privileged enough to know about and have a small part in…there are dozens, hundreds more..just connect where you can and where you feel led. It can be overwhelming to know exactly how to help flood victims. There are many large operations to donate to and equally large concerns of where the money goes.I want to help the town of Vidor in a couple of very specific ways. Our small towns are struggling and I want to help. Here are two ways to help a small Texas Town: I am collecting gift cards in small denominations to put directly into the hands of people that need them.Gift cards to WalMart, Target, Amazon, Ace Hardware, Home Depot and Lowe’s give these family access to supplies immediately. Some smart Instagram friends e-mailed me e-gift cards that I was able to distribute that very same day! I love that! But we’re not even close to done. Let’s get more! You may not have access to a way to ship a large quantity of these items but you might know someone that does and wants to help. Ask them! and then contact me. Send them this post! Send them my e-mail! 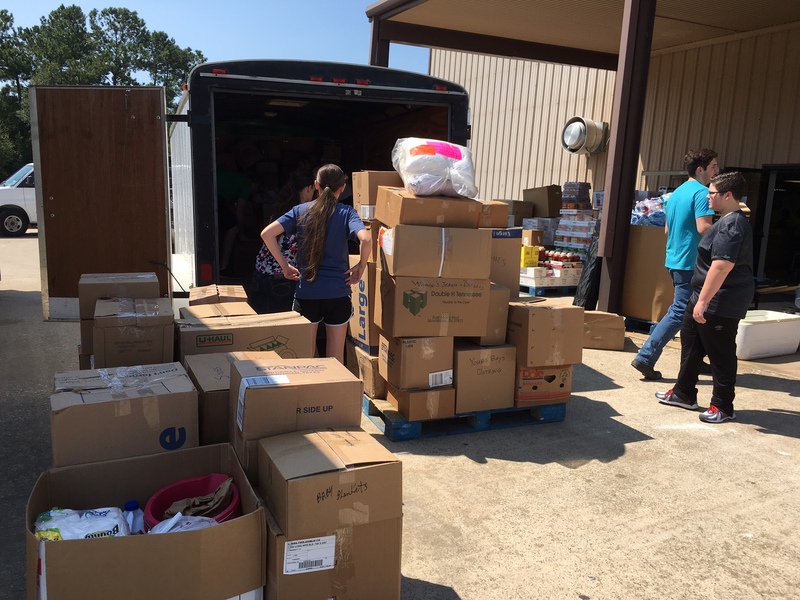 I have a direct connection in Vidor that is able to receive large donations and distribute them and I would love to coordinate a delivery. If you’re out of state and don’t have a way to ship large quantities U-Haul offers a service that might be an option for you. Fill a portable storage container with donations and ship it to us. If you would like to send me gift cards you’ve collected or have a shipment of building materials you’d like to donate, please email me atbecki@curiousdetails.com. Our friend Holly Kuhn, of Old Glory Antiques just sent Becki an envelope full of gift cards from Denver, they mail easy! That is something we can all easily collect among friends and family and do OR if you want to #fillatruck thats still a need too! 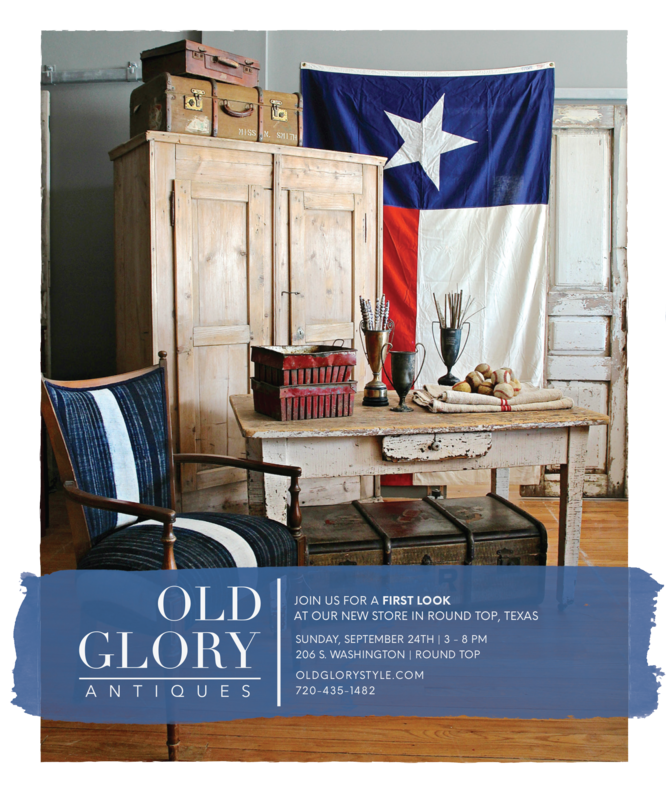 And yes Round Top Antique Fair is happening here too..some people already set up..more on that at goingtoroundtop.com and I will have more on the Old Glory Texas store and other goings on in a couple of days..Life does go, bittersweet and at different rates and timing for everyone but life and activities do go on . . .but let’s don’t forget the ones in Houston, Vidor, Florida, Rockport, on and on. I don’t think we will.